We Buy Houses Minneapolis For Cash! Get A GUARANTEED All Cash Offer For Your Minneapolis – St. Paul area home. Have you been searching for a way to sell your house fast for cash? Well you’ve found the answer here. Main Street Real Estate Solutions is the premier Home Buying Company in the Twin Cities, will buy your Minneapolis – St. Paul house as-is. That’s right, we’ll buy your house in its exact condition! There’s no need to make repairs or renovations, or pay to get rid of the stuff you don’t want – we handle all of it! We are not Realtors; we are professional home buyers and we have the real estate knowledge, legal resources, and funds available to fix most real estate problems, that includes buying your Minneapolis house for cash. We Buy Houses in Minneapolis. Sell Your House Fast. When searching the Minneapolis – St. Paul real estate market for a “We Buy Houses Minneapolis” company or companies that buy houses, there is no better choice then Main Street Real Estate Solutions. As real estate professionals and investors, we’ve bought hundreds of homes throughout the Twin Cities area. We Buys Houses Minneapolis! Sell Your Minneapolis – St. Paul House Fast. We Can Close in as Little as 2 Weeks or Less? When you decide to sell your Minneapolis house or property to us you get our promise that we’ll buy your Minneapolis property in as little as 2 weeks! We’ll work on your schedule to keep the process as convenient for you as possible. It doesn’t matter why you need to sell your house…we’re here to help. Whether you inherited your home, are being foreclosed on, have gotten divorced, or simply want to move – we’ll buy your house quickly and for cash! We can even offer you a $1,000 cash advance to help you pay overdue bills or provide a down payment on another house or apartment. 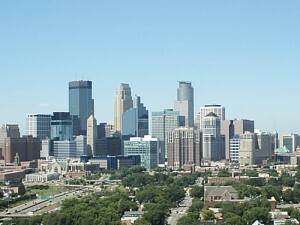 We buy houses in Minneapolis – St. Paul fast and can help you sell your property fast in just 14 days. How? We buy it from you directly! We have a proven track record and we’ll buy your house as-is, make the necessary repairs, and get you cash for your house fast. What can be better? Other companies out there may make you an offer for your house, but few can be trusted to buy your home in just 2 weeks. When you need to sell your Minneapolis house fast, you want to work with the right home buyer. As a the PREMIER and LOCAL house buying company in the Twin Cities area, it is our goal to achieve win-win transactions with every homeowner who is looking to sell their Minneapolis – St. Paul house quickly. NO MORE worrying about how YOU are going to get your home sold! Get the process started, or if you just want some additional information about selling your house in Minneapolis then contact us today at (612) 404-1872! Get an offer in 7 minutes to sell your house in 2 weeks or fill out the form below and we will get right back to you. You have nothing to lose but a few minutes and the call is confidential. What are Closing Costs Exactly in Minneapolis?